MILLARE Fashion: The PICTURE THAT GOT 2.2 MILLION RETWEETS AND BROKE TWITTER RECORD FOR MOST RETWEETS. 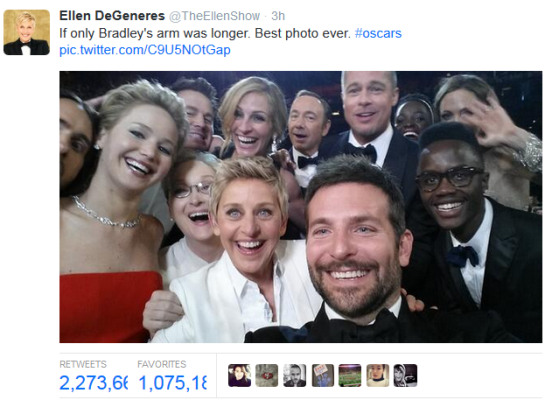 The PICTURE THAT GOT 2.2 MILLION RETWEETS AND BROKE TWITTER RECORD FOR MOST RETWEETS. 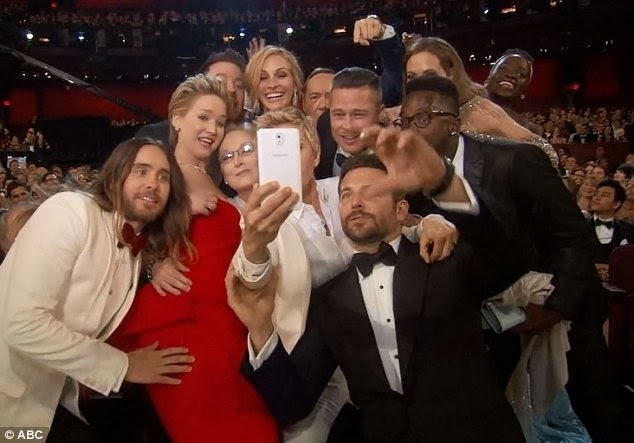 Oscar host Ellen DeGeneres took a moment out from hosting the show to take a selfie with some of Hollywood's biggest stars, including Brad Pitt, Angelina Jolie, Julia Roberts, Meryl Streep, Jennifer Lawrence, Lupita Nyong'o, Channing Tatum and Kevin Spacey in a photo taken by Bradley Cooper.